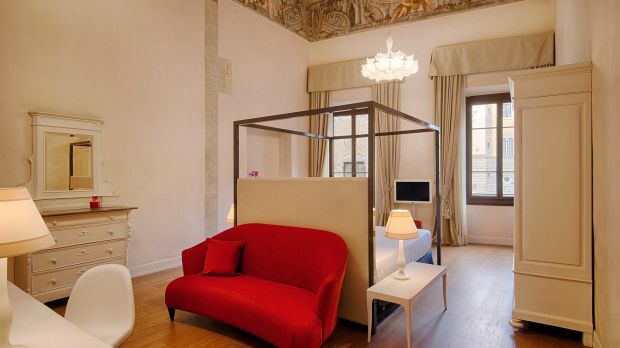 Located in the center of Florence close to several of the main tourist sights, NH Collection Firenze Porta Rossa is a short, 15-minute drive from Florence Peretola Airport. 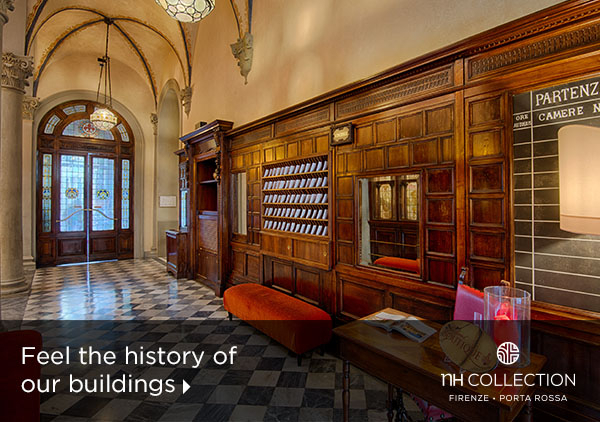 NH Collection Firenze Porta Rossa blends the best of modern elegance with a classical design that speaks to the hotel's 800-years of history. 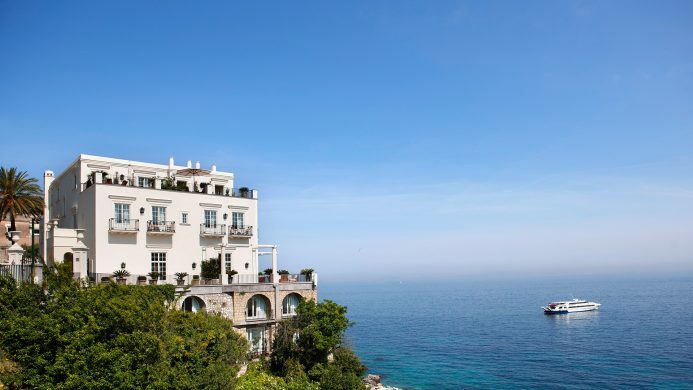 A 13th century tower is one of the most recognizable features, while beguiling frescoes fill the halls and public areas. The 72 elegant guest accommodations boast sparkling hardwood flooring and beautiful furnishings, an aesthetically pleasing look that's mingled with complimentary Wi-Fi Internet and amazingly helpful staff to provide a world-class guest offering. 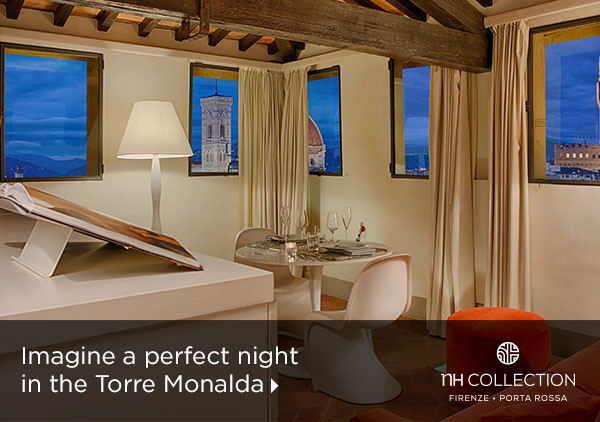 Of particular note is the hotel's Torre Monalda Suite, which is located in the 13th century tower, a vantage point that provides panoramic views of Florence. 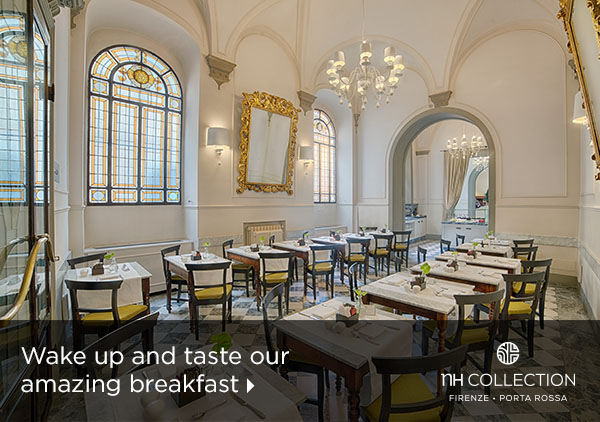 A daily buffet breakfast is available for guests, as well as a full service bar. 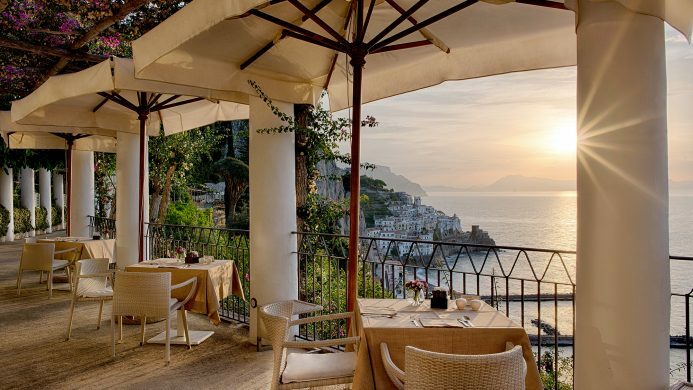 A number of notable restaurants are also located nearby, as are all of Florence's most remarkable attractions. 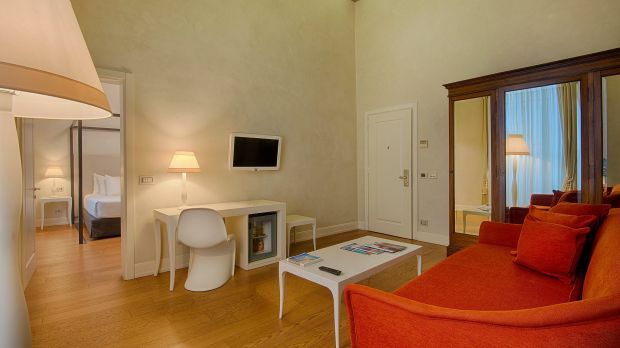 Send an availability request with your requested dates to the NH Collection Firenze Porta Rossa.